OK so England have reached the football world cup semi-final for the first time in 28 years; there’s a hosepipe ban and the UK political situation continues to jump from the frying pan to the fire on a regular basis. But what can we simple English people do to support our national team at this time of great camaraderie? Or what can any of us do to support our teams through, be it The World Cup or any other sporting event that we care to celebrate? I might not be a huge football fan myself, but I know a thing or two about the power of positive thinking so I’ve put together my list of top 5 positive thinking things you can do to support your teams over the forthcoming season. Apologies if some of this is decidedly English in it’s outlook – it is who I am, but the fundamental principles apply to everyone regardless of nationality. 1. Think positive and believe. This is crucial to all aspects of life. What you think about, you get more of, so thinking about how great it will be when we win is a great start. The more of us who are thinking positively the better too since these thoughts can gain a kind of collective momentum to manifest what we’re thinking about. When we think positively we are communicating with the universe through our thoughts and feelings (mostly feelings) which can then have a positive impact on the outcome of events. The law of attraction sees to that. So whether it’s watching Harry Kane take a penalty or willing on the keeper to make a save, hold the positive thought in your mind for the outcome you want. 2. Be happy whatever the outcome. I don’t know what we will do this year but I know that if we start berating our boys, then the trophy will slip through our fingers quicker than sand in an hourglass. The trick here is to be happy whatever the outcome. In the grand scheme of things, your life is going to work out for you as long as you can avoid the pitfalls of falling into despair. And even then, there is still hope because life goes on, help is on the way, and the World Cup will come around again in 4 year’s time. Staying happy whatever the outcome may seem difficult at first if you have invested a lot of time and energy but know that it’s only feedback. There will be other times, other events. You can learn the lessons and move forward in the knowledge that you now have more information to help bring your plan to fruition. Be unconditional in your happiness today. 3. Keep a proper perspective and share the love. The World Cup may be the most important thing to you right now, but really, your family and friends take precedent. There will be future World Cups, but you want to make sure that there are future relationships with the people you love too. Your family and friends deserve to know that you still love and appreciate them even though the World Cup is on so don’t neglect them at this time. Instead, why not get them all involved by throwing a BBQ (the weather is on our side for once) and invite your neighbours to share your dreams. You never know, it could to wonders for your community spirit too. 4. Invoke the power of your imagination. Using visualisation and affirmation techniques is a great way to tune yourself in to your higher self and to manifest what you really want in life. And if you want to feel great that England won the World Cup, then you need to visualise every aspect of it in vivid details. The trick here is to imagine this as a personal triumph – what YOU personally would do if they won – how would YOU celebrate? What emotions would it bring up in YOU? Then keep imagining these positively on a daily basis. And you can carry this on into your every day life too – use the power of visualisation on any situation and see the results transform in front of you. 5. Use songs and anthems to get you in the mood for success. Music is one of the fastest and best ways to raise your vibration and get you into a happy mood – which will automatically start to bring you what you want. Music, smells and visual triggers from happy past events can all be used as anchors to get you back into those happy emotions. So dig out all your favourite ‘feel good’ songs and get them playing. 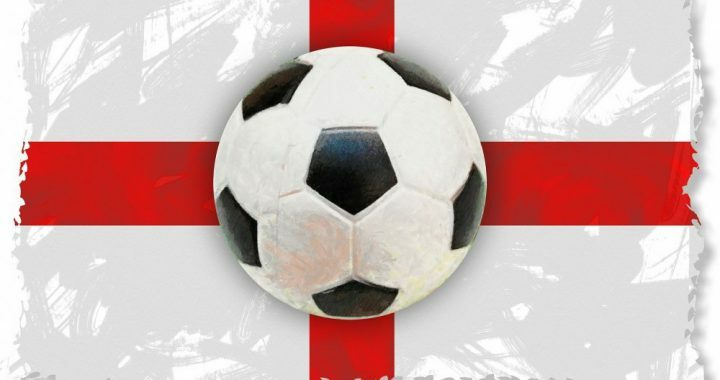 In the UK, the old “Football’s Coming Home” song is one of the great ones and I’ve been humming it to myself all week – and it works – I’ve had a rising feeling of optimism growing that means I’ve woken up with a smile on my face! All good signs that things are going to work out. Of course, we all love a good shop and retail therapy is always a great way to get into the spirit of these things and give yourself a few mementos for your memory box. So finally, here are some of the best England footie novelties that are out there at the moment. I’m sure there are many others and equivalent ones for different teams and countries across all sports. So don’t just limit yourself to football – what else can you find to show your national spirit this year? You can wave some, wear some and even eat or bathe with some to show your support! So why not join me in this moment of national excitement and whatever the outcome, we can make our world a better place through the power of positive intention, thought and dreams. but let’s all enjoy it and have some FUN! I am not the biggest football fan, and my team didn’t even make it to the world cup (USA). However, I do think that these principles that you listed can be applied to anyone’s sport and team of choice. I really enjoyed reading your post! Gail, I love your first point ‘Think Positive and Believe’ the power of positive thinking is where it is at. Unfortunately, we all underestimate its power. The world cup is an interesting competition for we Australians because frankly we really aren’t in the top 10 but… my son’s father is English and well when Australia bows out well then we get to participate as European’s following the English flag – not that England is European but closer to Europe than we are Down under if you get my drift. Anyway, bringing like-minded people together to believe and think positive cannot be underestimated. Go to England, we look forward to watching and seeing history being made at the moment. I love that your post is from the spirit of world cup, I support England though I am Lebanese, but too bad that our national team is not in the world cup! wish I can be in London in this period. You are right, all should be happy whatever, football is a game, and in games there is always a winner and a loser ..